I might be done with the Second Edition of Crazier Eights, but I will keep an open mind and be willing to make some minor changes. I have also been working on the Third and Fourth editions for Crazier Eights, and those will require a bit more playtesting. Each edition can be played as a stand alone game. 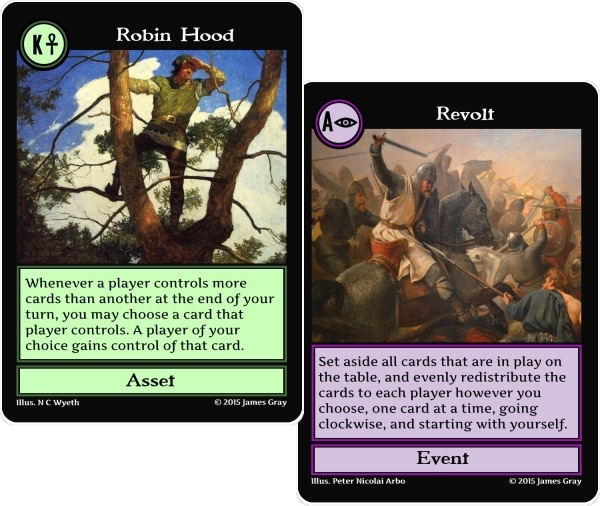 However, the Second, Third, and Fourth editions all feature unique cards; and you can combine any of these versions of the games together by shuffling the cards together. 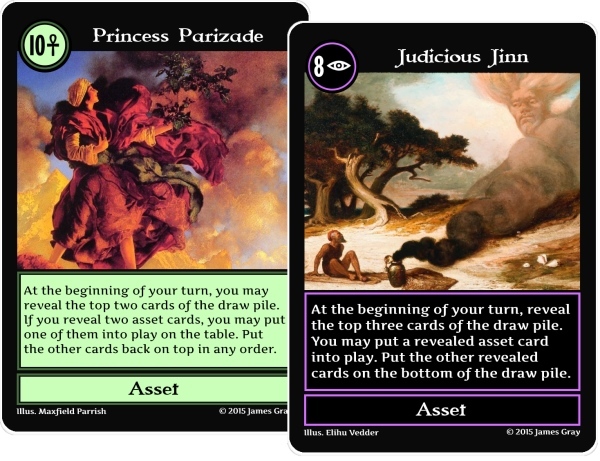 Right now the Third edition of the game has the Arabian Nights theme, and the Fourth edition is mainly just for brainstorming card ideas for other future editions of the game. The Fourth Edition will likely end up with a Biblical, Egyptian, or Greek mythological theme. Some of my current card ideas can be found below.